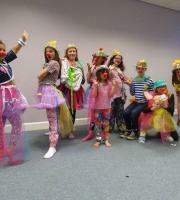 Mother's Day! 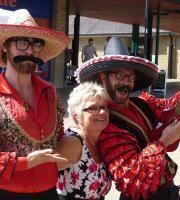 Los Romanticos were out and about to serenade the lovely señoras! 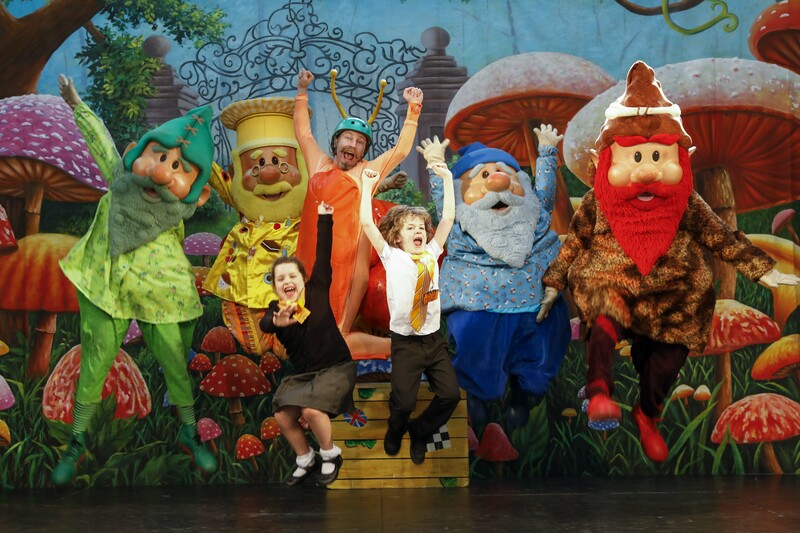 We worked with MetroCentre to provide a fun-packed Easter show with the Metrognomes! 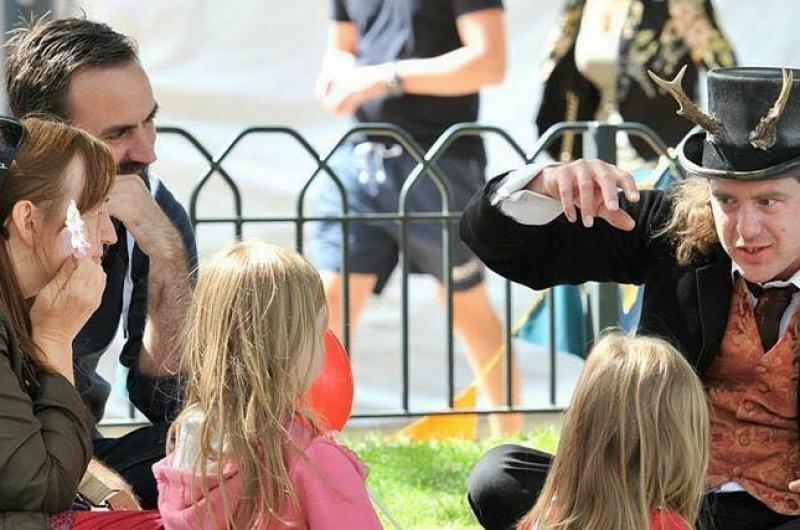 At Easter, there's one thing everybody loves ... chocolate! 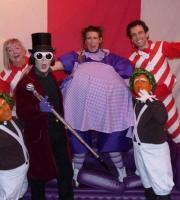 We provided a fun Charlie and the Chocolate Factory-inspired show for Lowry Outlet. 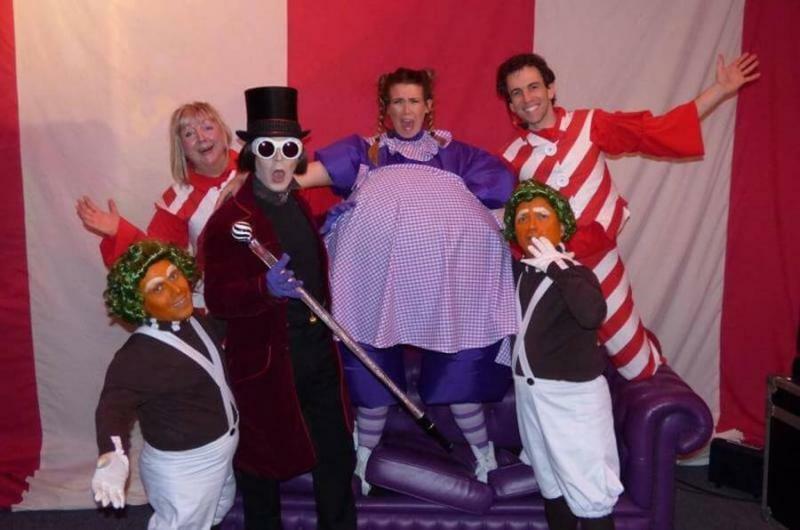 The show included a Violet Beauregarde who really swelled up into a giant blueberry! 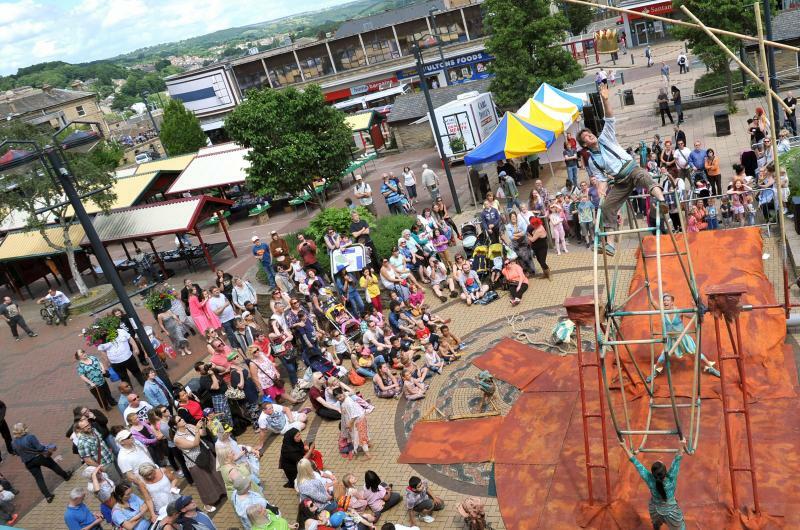 The Shipley Street Arts Festival programme kicked off in June - it was a brilliant event at which local people met, watched and listened to all kinds of artists and performers. 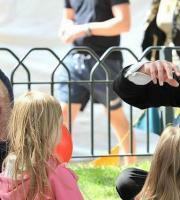 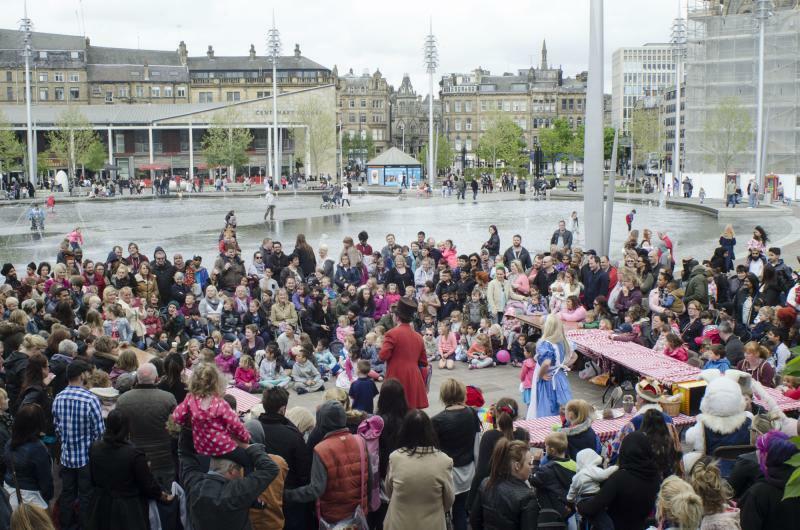 Our ever-popular Mad Hatter's Tea Party show entertained huge crowds. 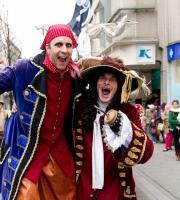 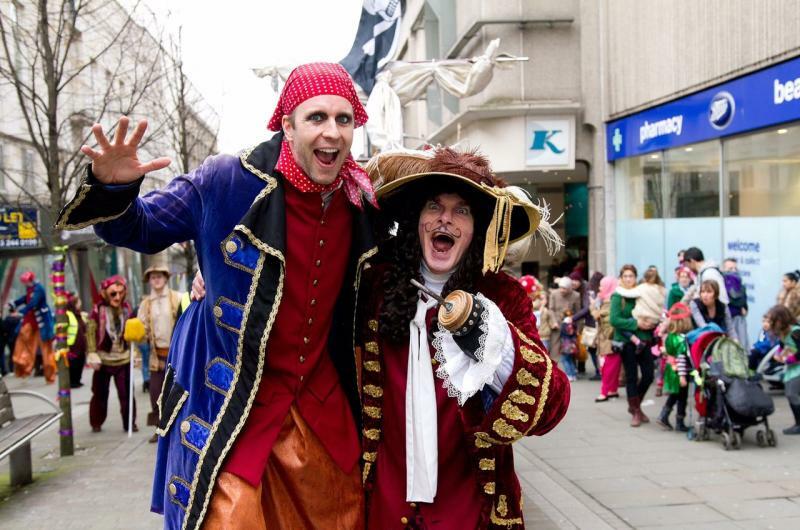 Our Bouncing Bucaneers joined the Captain, pirates and their ship for the first time at the Bradford Pirate Parade, entertaining shoppers with their hilarious capers. 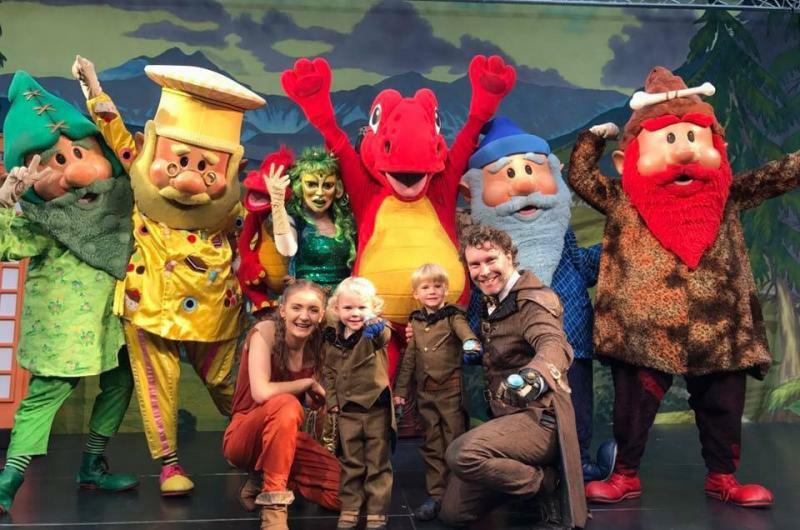 The Great Expedition of the North travelled through time in the family summer show at intu Metro! 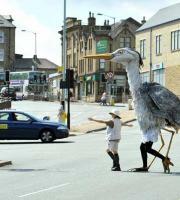 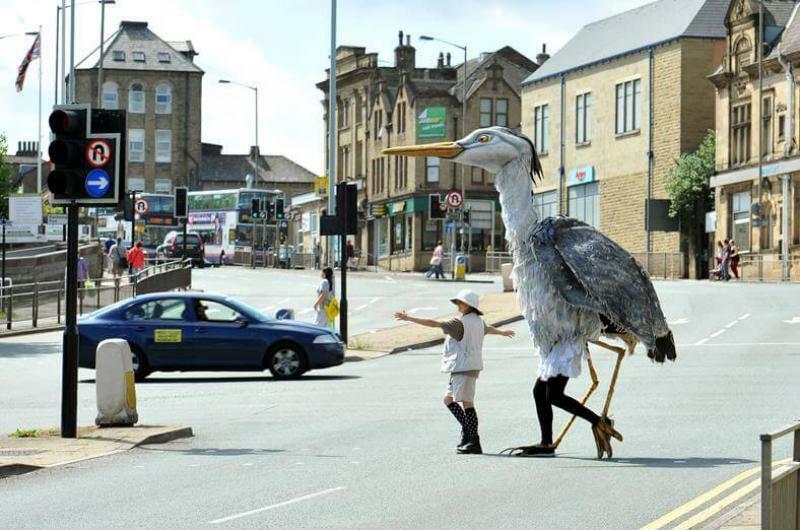 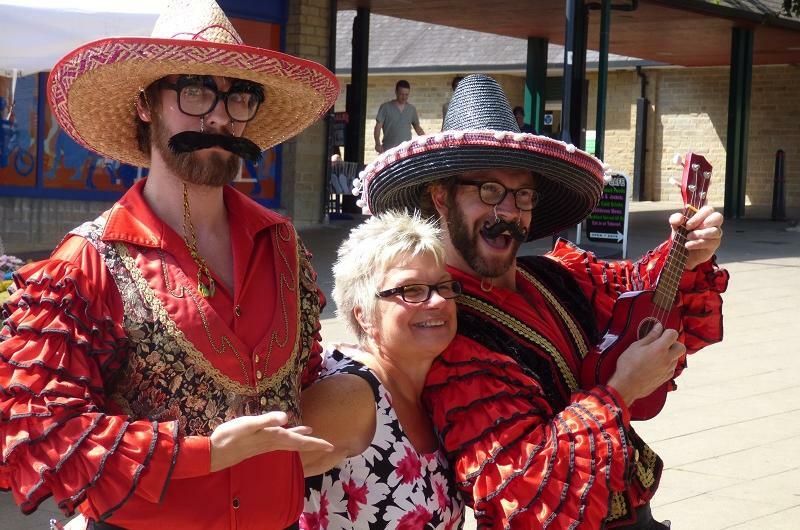 Three days of brilliant street theatre taking over the town - with schools, community groups and local businesses all involved for the Shipley Street Arts Festival. 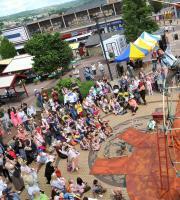 Amazing performances from nationally-renowned street artists brought in huge crowds to the festival. 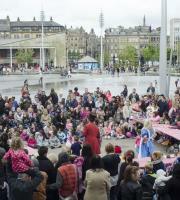 Thanks to everyone who contributed their time and efforts to make it such a great event. 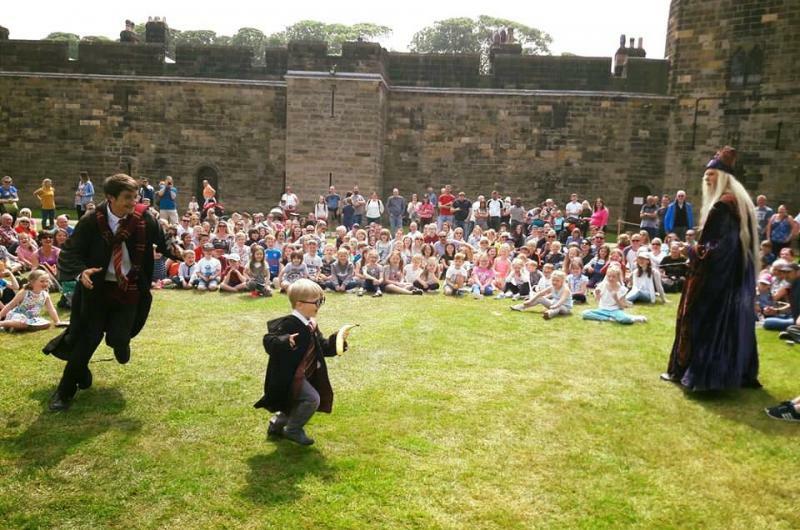 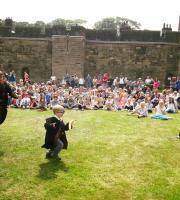 We provided a series of Harry Potter-inspired shows at Alnwick Castle from Spring to late Summer! 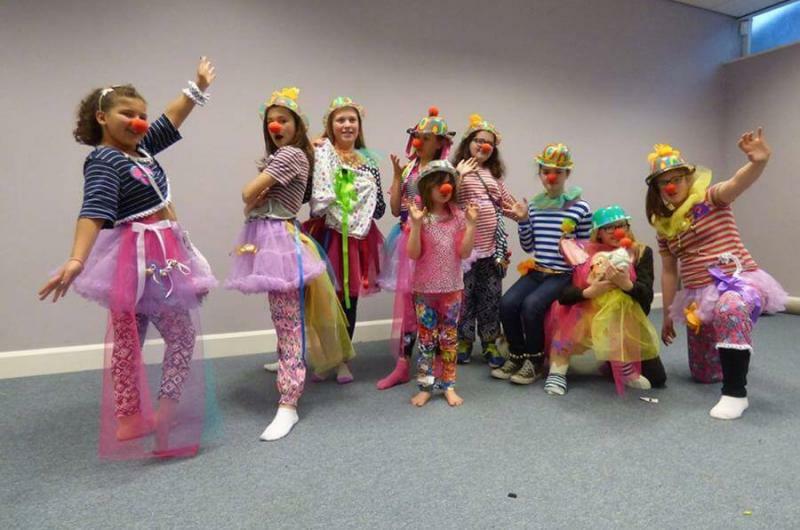 Our #SSAF Half Term Theatre School was a rousing success: four days of workshops including clowning, costume making, dance and stage fighting! 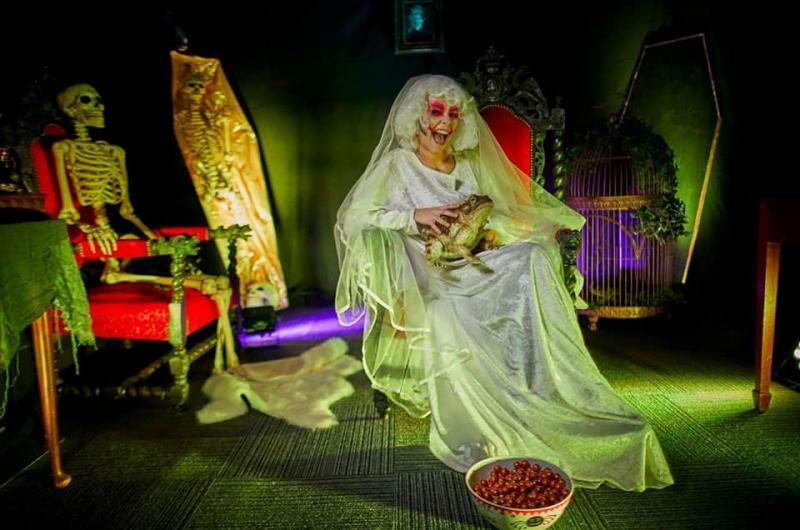 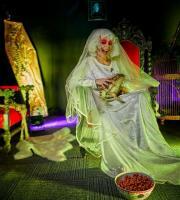 Our spooky characters entertained shoppers at the Lowry Outlet for Halloween. 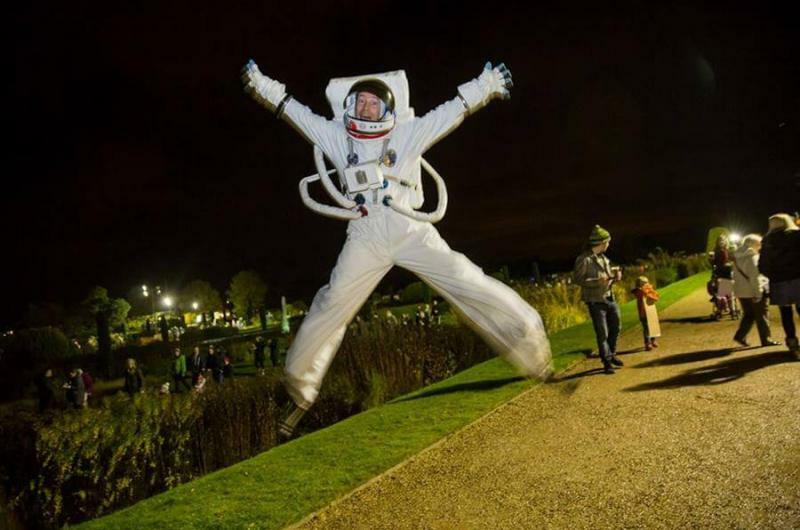 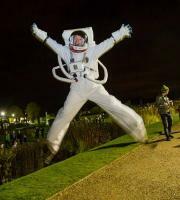 The Bouncing Spaceman bounced on Bonfire Night - gravity disappeared and he floated and moonwalked across the firework-filled sky! 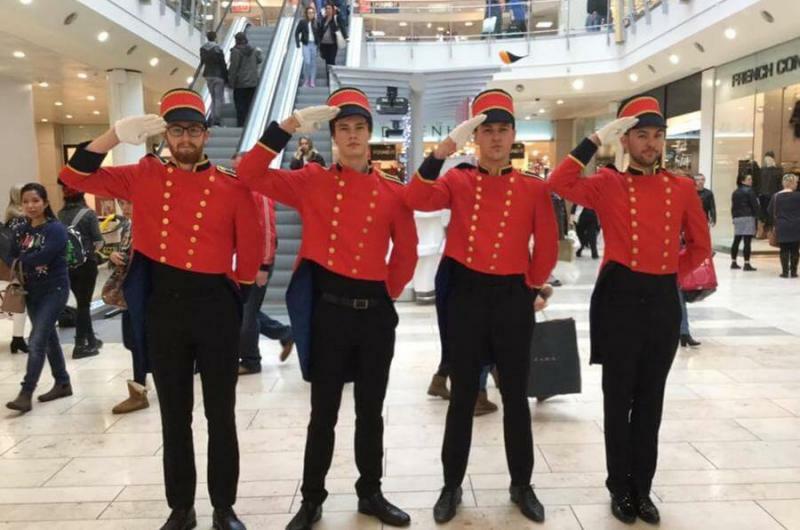 Once again, our Toy Soldiers proved extremely popular all across the country for Black Friday promotions. 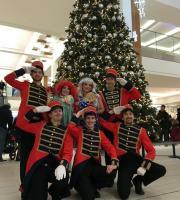 The soldiers supplied customer service help for shoppers by carrying heavy shopping, providing information and directions, and much more. 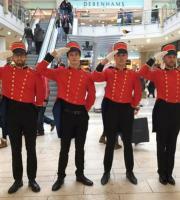 Five Toy Soldiers went to intu Victoria (Nottingham) on behalf of Maynineteen for three days of Black Friday shopping! 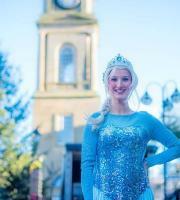 The Ice Princess went to Scotland! 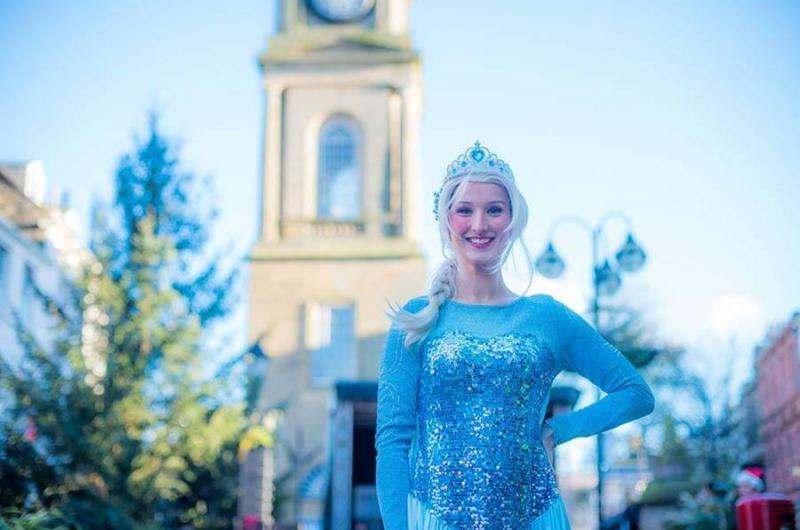 We provided shows inspired by the Ice Princess for the Christmas light switch on events for the Falkirk Delivers towns Bo'ness, Grangemouth, Denny and Stenhousemuir. 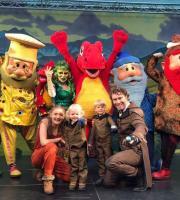 The characters were a huge success. 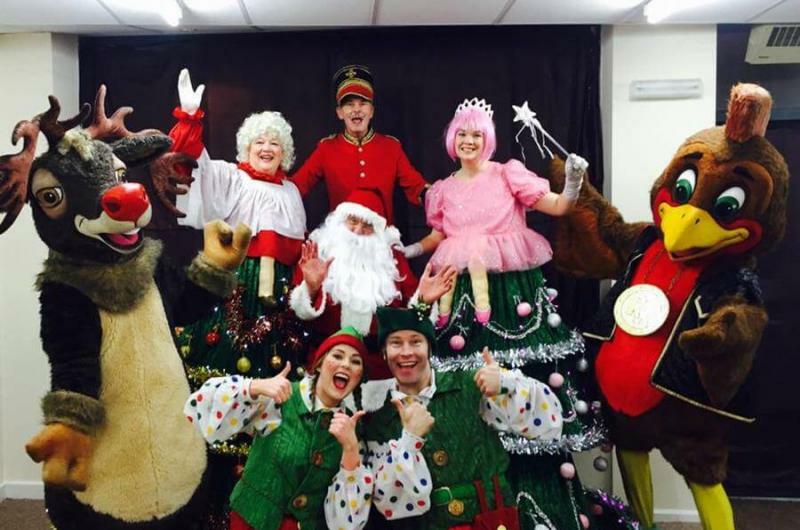 We sent some of our Toy Soldiers to York Designer Outlet on behalf of Maynineteen - looks as though they created a winter wonderland! 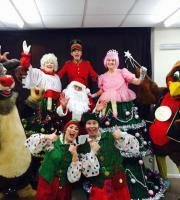 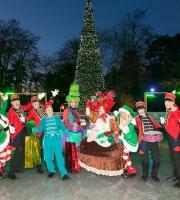 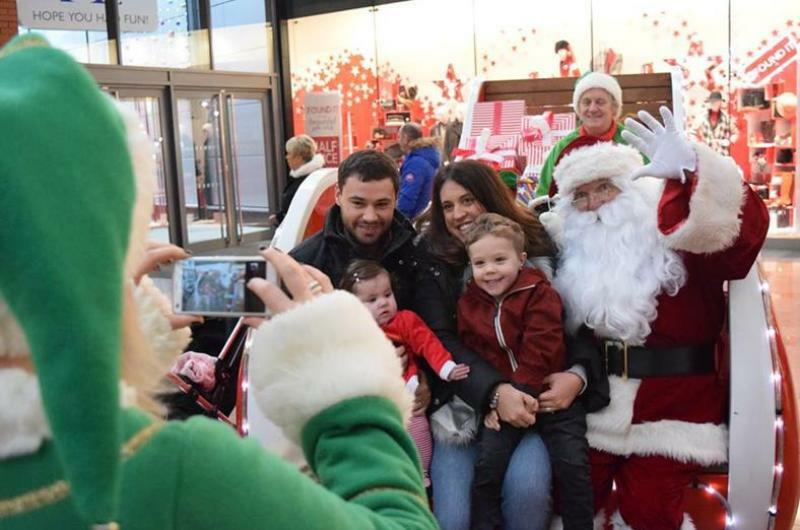 It was another fabulous festive period - all our favourite characters were out and about across the country! 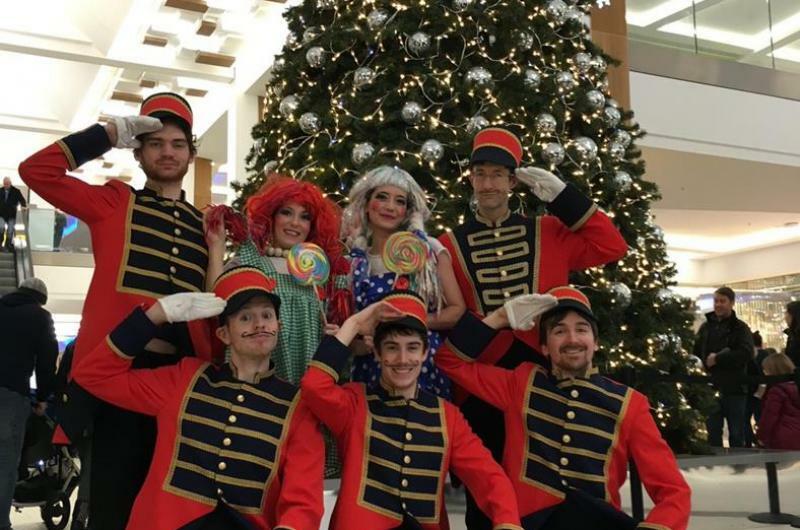 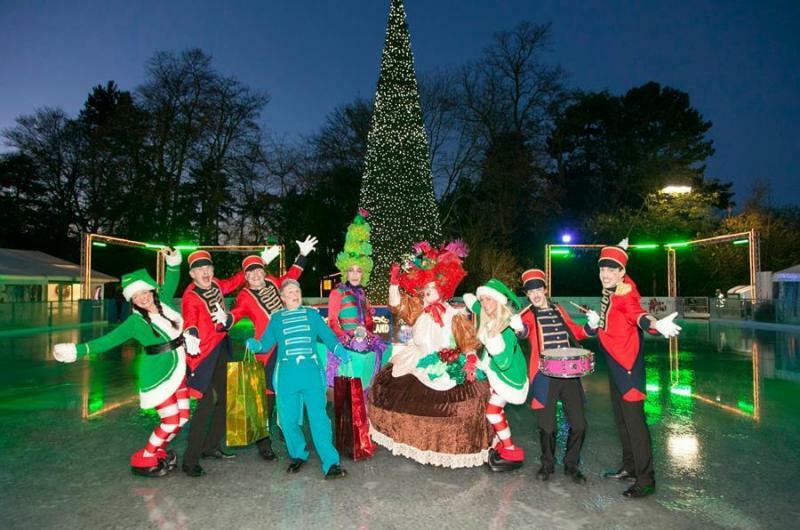 The annual intu MetroCentre Christmas show saw us to the end of the year with Peter Pan, Tinkerbell and Captain Hook. 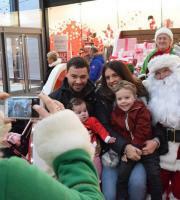 Our Santa and Sleigh made regular appearances around the country - Merry Christmas to you all from Q20, and a Happy New Year!